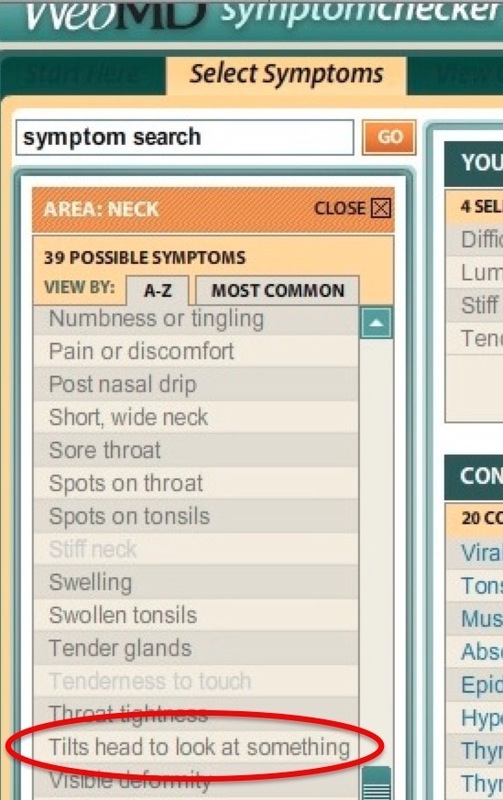 Here's a weird symptom on WebMD's "Symptom Checker." 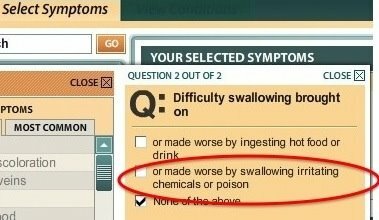 and I've noticed it gets worse every time I drink a big glass of poison." Nikki Finke is reporting (and all the other trades are re-reporting without any original sources) that Jay Leno has accepted an offer from NBC to host an hour-long nightly talk show from 10:00 to 11:00 p.m.
Leno won't go to ABC or Fox where he would compete in the same time slot as Conan (a battle that Conan would likely lose). But, in fact, Leno at 10 on NBC is Conan's worst nightmare, and I wonder how long it will be until people in the Mainstream Media (and Conan himself) begin to realize this. Here's why. First off, there's the Legitimacy Factor. Leno's Tonight Show lead-in is the local news preceded by scripted dramas or comedies (or scripted reality shows). 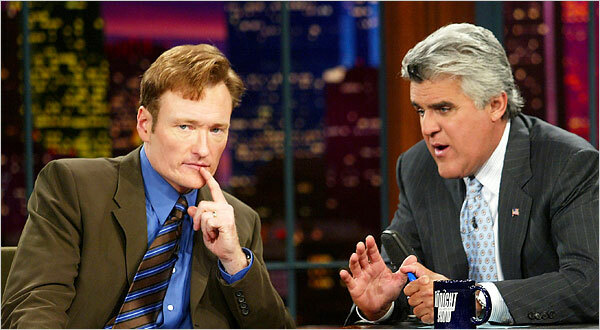 Conan's Tonight Show lead-in will be the local news preceded by Jay Leno's 10 o'clock Tonight Show. As long as Jay Leno is on the air in a time slot earlier than Conan, Conan will never legitimately be the Tonight Show host. Second, with Leno in prime time, Conan has just lost his A-guest five nights a week. If Jessica Alba is out promoting a movie, ordinarily she'd head to the Tonight Show first — Conan O'Brien's Tonight Show. But Leno's 10 o'clock show will have a lot more eyeballs because it's in prime time, so Alba will go to Leno first. ...but Conan won't have her on the couch until Tuesday. But the whole arrangement is set up mostly to benefit NBC. It's ingenious and insidious — one year from now, NBC will have the top late night show plus they'll have destroyed any possible competition. This is the part that no one seems to realize yet. I see two scenarios for NBC. (1) Leno's a hit in prime time and Conan fails at 11:30. The succession plan goes horribly, viewers flee NBC late night, and it's Panic City in Burbank. What do they do? They fire Conan and bring back Jay — who's still at the network. At that point, ABC and Fox won't want Conan for the 11:30 slot because he'll be a proven failure in that hour. (2) Leno bombs in prime time and Conan's a success at 11:30. NBC cancels Jay's 10:00 show and he's effectively burnt for late night at ABC and Fox because he'll have the stink of failure on him. Now, it's also possible that both hosts will do well in their newer, earlier time slots... (and it's possible that they'll both fail), but it seems that NBC has sneakily figured out not only how to end up with a late night winner... but how to neutralize one of the monsters it's created. And they got both Leno and Conan to agree to this plan! UPDATE TUESDAY 12-09: The media is just starting to figure this out. Here's a warning label that was affixed to a plastic storage box I bought at Target. When gifting a baby this Christmas, don't put it in a box — be responsible and wrap it in a festive mylar bag.